Tanya received her doctoral degree in Economics in 2015 at Universitat Pompeu Fabra, Spain. 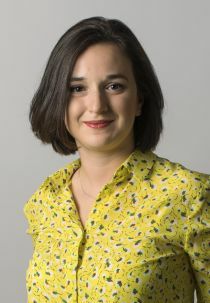 While pursuing her doctoral studies she worked as a teaching assistant for graduate and undergraduate level courses at Universitat Pompeu Fabra and Barcelona Graduate School of Economics. During the last year of her studies she also worked as a pre-doctoral research fellow at the London School of Economics. Her main research interests are in labour economics, economics of immigration and applied microeconomics. Tanya joined CReAM in May 2015.